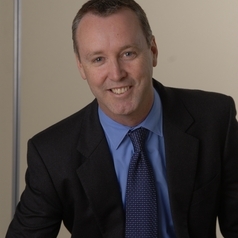 Paul Wappett is the Chief Executive Officer of Open Universities Australia, Australia’s largest online education provider, with 300 employees, annual turnover of $200 million, and seven of Australia's leading universities as shareholders. A longstanding advocate of accessible education, Paul is a firm believer in the obligation of education providers to ensure high standards of quality but also to provide an engaging and positive student experience. A lawyer by profession, Paul's previous positions have included legal roles at Clayton Utz and Mobil Oil Australia, and commercial roles with Mobil and the Western Bulldogs Football Club. Before joining Open Universities Australia, Paul was the Executive General Manager, Strategy for Australia's largest accounting professional body, CPA Australia. Paul is married with two children, lives in Melbourne, has degrees in commerce and law from the University of NSW and an MBA from Melbourne Business School and still harbours dreams of one day opening the batting for the Australian cricket team.